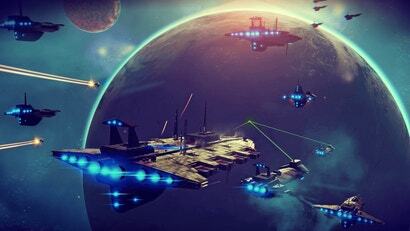 Rarely considered for overall video-game-of-the-year honours, the uncommon diversity of sports video games, and the unique demands placed on them to recreate both a real-world sport and the real-life experiences associated with it, support their own class of awards more than any other genre. These are Kotaku's Stick Jockey Sports Video Games of the Year. This year we'll recognise achievements in six categories. While a game's technical aspects and ability to execute were considered, more subjective qualities such as innovation, impact, and the size of the gaming population it served also came into play in judging a game's worthiness. These awards are conferred by me, in consultation with Luke Plunkett. 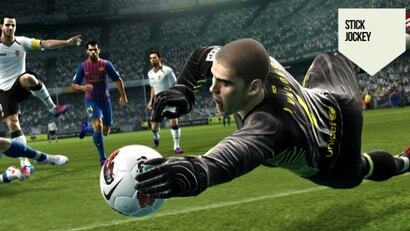 Here is the best in sports video gaming for 2012. Visual Concepts' audio team is the best in this sector, by a wide margin, and opened up an even greater lead with stellar work in NBA 2K13 and even a slapped-around MLB 2K12, whose commentary was still miles ahead of its direct competitor. Lacking the kind of money EA Sports has, 2K Sports can't simply cut deals with real-life networks to bring their graphics packages and booth personalities into the game. The rapport between Kevin Harlan, Clark Kellogg and Steve Kerr is at its strongest — and most hilarious — during the All-Star Weekend's Slam Dunk Contest. Instead, NBA 2K13 has created a damn good virtual network of its own, using Kevin Harlan, Clark Kellogg, Doris Burke and Steve Kerr to deliver a dynamic call that sounds like all three are actually watching your game. Damon Bruce anchors an around-the-league intermission recap that other titles have simply given up on. Let's not forget Jay-Z, brought on as a celebrity executive producer, whose influence was most felt in pregame openings during the Association mode. NBA 2K has many strengths, but its presentation, sometimes quietly, is the one that improves the most year after year after year. MLB 2K12, in its swan song, also put together a network-ready team of Gary Thorne, Steve Phillips and John Kruk. NCAA Football 13 still has the dean of sports video game commentary, Brad Nessler, and added ESPN's Rece Davis to an in-game score update that portends good things for the future of that series. However you feel about them, Jim Nantz and Phil Simms are true-to-life in Madden NFL 13. Those two, plus a new original score and a slew of stadium audio enhancements, righted that ship after a listless 2011. We've called this "best singleplayer" in the past; here the title is revised to include the best persistent career mode, team or single player. Madden NFL 13's groundbreaking "Connected Careers" was unquestionably a technical achievement, in the way it permits multiplayer leagues where one user controls only a star running back against another commanding an entire team. The virtual Twitter feed, particularly its stories of fictitious draft prospects, added a lot of zest. But the omission of a fantasy draft and some basic player customisation options — later introduced by server-side update — needlessly limited the experience for about a month after its launch. 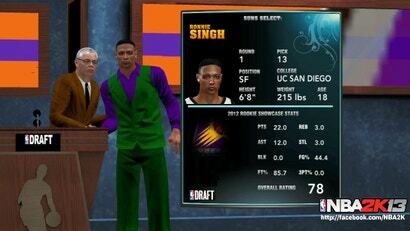 "My Player" in NBA 2K13, however, cements that title as a lifestyle product, through off-the-court interactions that have no analogue or imitator in other titles. In what other game are you choosing what your player will say in his Hall of Fame induction? What other game allows you to say what's on your mind, or say the right thing, during a pre-draft interview, postgame news conference, or a sit-down with the general manager? While other career modes also have experience points, and character attribute development, NBA 2K is doing the heavy lifting as the sports genre reckons with its true potential as a role-playing game. Despite its ponderous menu structure, the unique demands of player recruiting still make NCAA Football 13 the most compelling personnel management game available on a console. Its "Road to Glory" mode continues to make strides and tap the potential offered by a compact, four-season career. Madden is worthy of praise, as mentioned above. WWE '13's almost absurd level of stage management options cater to a "sports entertainment" spectacle uniquely enriched by multiple ongoing storylines. Multiplayer was really the only thing last year's edition of Madden NFL did comprehensively well, and the game's post-release support has long put everything else to shame. This year's introduction of Connected Careers strengthened Madden's multiplayer dominance, created new relevance for its neglected Superstar career mode, and new enticements for longtime Franchise hermits to take their acts online, inviting friends to their world or joining someone else's. Sports video games are still realising their potential as role-playing games; Connected Careers is an early vision of sports as a massively multiplayer online role-playing game, and it is bound to have imitators in years to come. NHL 13 introduced GM Connected, a more robust housing for online team play that allows players of lesser skill to still contribute as coaches or personnel managers. FIFA 13's strengthened it s package of offerings in Football Club (and Ultimate Team) with the introduction of "Match Day," in which real world outcomes, injuries, and current lineups were reflected in online matches. Heading into 2013, there is only one sport with direct competition among licensed video games, and that is in football. Had Konami put a lesser effort into Pro Evolution Soccer, we might be talking about a 2013 in which each sport is represented by a single console game only. 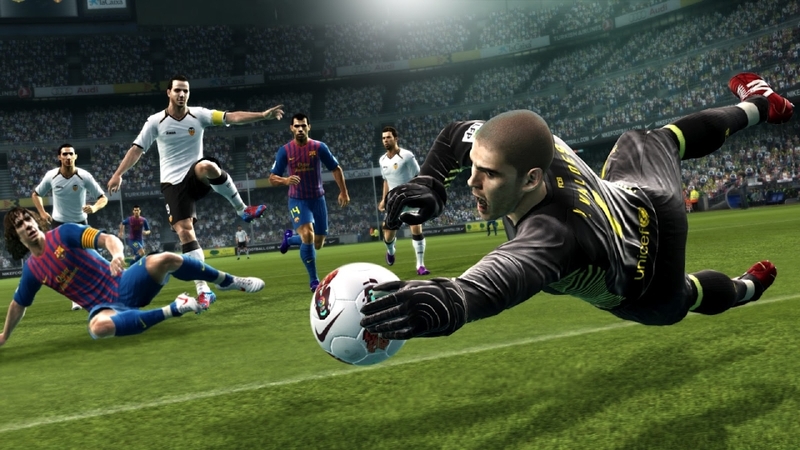 PES 13 righted its ship, and the game's player AI, singleplayer career, and visuals make it a legitimately preferred option for some longtime football fans. PES had been hanging on largely through its incumbency in Japan, a basically saturated audience. Pushed to the brink of irrelevance, it has come back — and coming back against the FIFA juggernaut is a challenge no other series has to face. SSX hit the slopes after a seven-year layoff, blending modern console capabilities with fan service for a smoothly enjoyable experience. WWE '13's Attitude Era tribute helped wash away the disappointments of last year's title and was, quietly, the best showcase mode in sports video gaming this year. Madden NFL 13 introduced real-time physics a year ahead of its studio's internal schedule, but for many fans, such an improvement was long overdue. 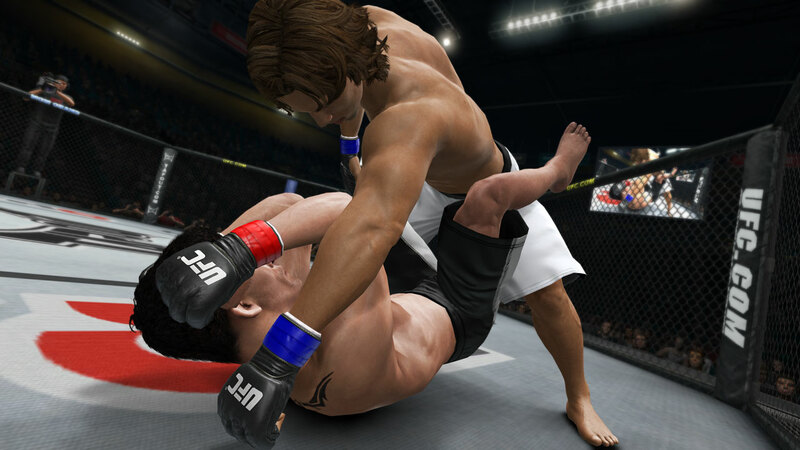 A winter release date, its publisher's long-running financial difficulties, and the surprise sale of the UFC licence to EA Sports at E3 combined to obscure what a legitimately good sports video game UFC Undisputed 3 is, particularly for its career mode. A retooled submission system also placed the unique excitement of a choke-out victory into the hands of more players. Flash knockouts were rarer but more meritoriously applied. A flurry of hammer fists on a prone opponent inevitably brought on one of the year's most satisfying experiences, Mike Goldberg breathlessly shrieking that the fight was all over. It may be too late, and it may be bittersweet for those at THQ's San Diego studio, closed after the sell-off of the UFC licence, to hear this now, but they should know they went out as a winner, gloved hand high in the air. Tiger Woods PGA Tour 13 had a tough act to follow after introducing Augusta National and The Masters in 2011. A misunderstood Course Mastery system didn't help, but it's still one of the most endlessly replayable online sports games around. WWE '13 showed strong improvement, especially in utilising the gameplay improvements introduced last year. Codemasters' F1 2012 may be more of a racer but it is a motorsports simulation, with a full featured career mode and gran prix circuit. The margin between the Big Four — FIFA, NBA 2K, NHL and MLB The Show — has never been thinner than it was this year, mostly for the fact each series largely retained its overall excellence without making truly transformative changes to the way it was was played. In the end, though heavily reliant on incumbency, FIFA 13 gets the nod for best team sports game. 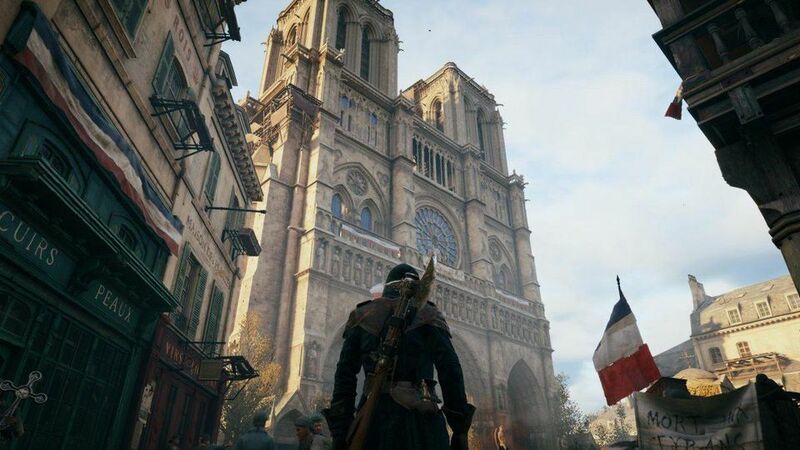 Its most recognisable improvements were largely refinements of its already strong gameplay. First touch physics sacrificed the unrealistic magnetism of past years in opening a subtle new dimension for planning passes and positioning. AI-controlled teammates broke into more useful runs, and defenders started thinking further ahead in the play, rather than fixating solely on the man with the ball. In a year with no true breakout hits, FIFA, a nod to the class of sports video gaming for the past four years is appropriate. Incumbent excellence is fine for crowning a winner in a subcategory like Best Team Sports Game. Improvement deserves to be recognised, and that's why there's Comeback Game of the Year. 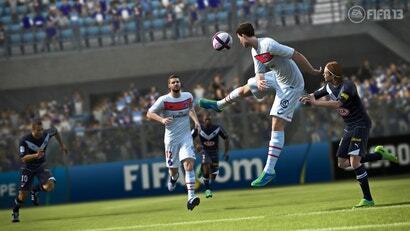 But a game must do both to be considered the Sports Video Game of the Year, the standout best offering of the genre in the past calendar year. And none was this year. This hasn't been the worst year for sports video gaming. But it is the furthest from its best. FIFA 13, as said above, improved largely through subtle refinements. So did NHL 13 with a new skating engine, whose benefit was perceptible more to longtime players of the series than to a broader audience. Had NBA 2K13 developed even a modest showpiece mode for the inclusion of the 1992 U.S. Olympic Team, or returned the "NBA's Greatest" retrospective from NBA 2K12, it would have been hands down the Sports Video Game of the Year. A welcome control refinement made player movement more intuitive, but there are still a dizzying number of moves for the average person to memorize, much less master. While these three plus MLB The Show did not regress, and leave this year as they began it — all highly regarded games — they did not take any appreciable risks either. 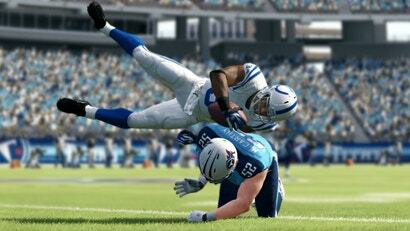 Madden NFL 13 did, and no title this year strove harder to transform itself, and executed more in doing so, than it did. But overall laurels for it, in this year, would send a message that following a terrible year with overdue changes is all it takes to be the class of sports video gaming. Nor should we arrive at this type of honour by such a process of elimination. It should be affirmatively awarded, for readily identifiable reasons. And sports video gaming's annual demand for $US60, for what can be an incremental update even in its best series, arouses intense opinions and resentments within the community that further necessitate a clear-cut and defensible overall winner. 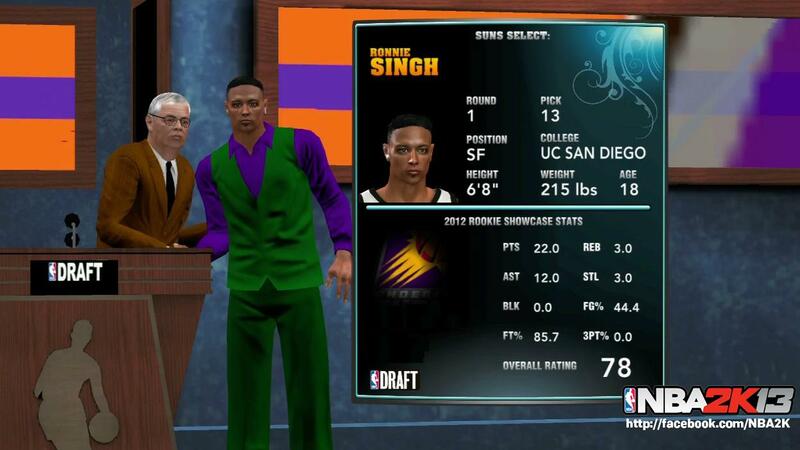 The most defensible choice, for 2012, is that there is no Sports Video Game of the Year. With the attrition in the licensed publishing catalogue, which speaks for the largest constituency in sports gaming, and with PC gaming a total nonentity except in management simulations, this hasn't been the worst year for sports video gaming. But it is the furthest from its best in this hardware generation. Perhaps that's to be expected at this point in the lifespan. We're looking forward to the disruptions caused by the next console generation, the risks they will force all of these series to take, and the new contenders that may emerge. Surely you could argue that this year is the best for Sports gaming because there's not one standout, but many quality titles. I've been enjoying Cricket Captain 2012, a great cricket management sim that's been around since the 90s. Would love to see an AFL equivalent.